I just finished a 19.382km cycle that lasted about 0hh:59mm:22ss ! First flat tire of the year. 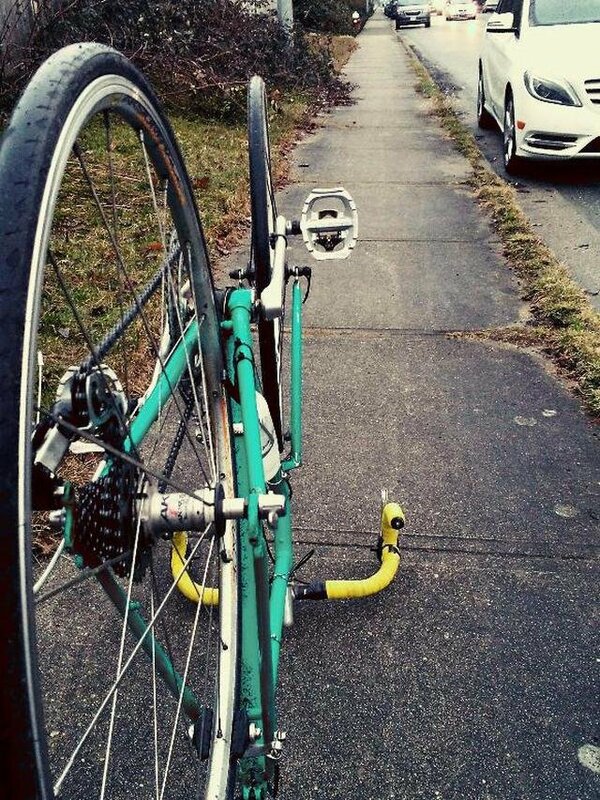 I guess it's to be expected from a $300 bike with already worn tires. I should put some fenders and some nice kevlar rubber on this old girl this weekend. You have uploaded 31 cycling activities, and 8 of them have been of similar distances (within 10 percent)! I need a pina colada - 20.153km @ 02:53 min/km pace. Over these 8 similar activities, you have travelled approximately 161.37 kms at an average pace of roughly 2:47 min/km!